Are you watching YouTube on an inferior phone? Well, that just won't do. YouTube now has a Signature Devices program that can point you in the direction of a phone that has all the latest video technologies. Those cat videos will look better than ever. The YouTube Signature Devices program addresses the hardware and software features that YouTube considers vital to provide the best experience. It doesn't go into more esoteric details like the brightness or color accuracy of a panel. 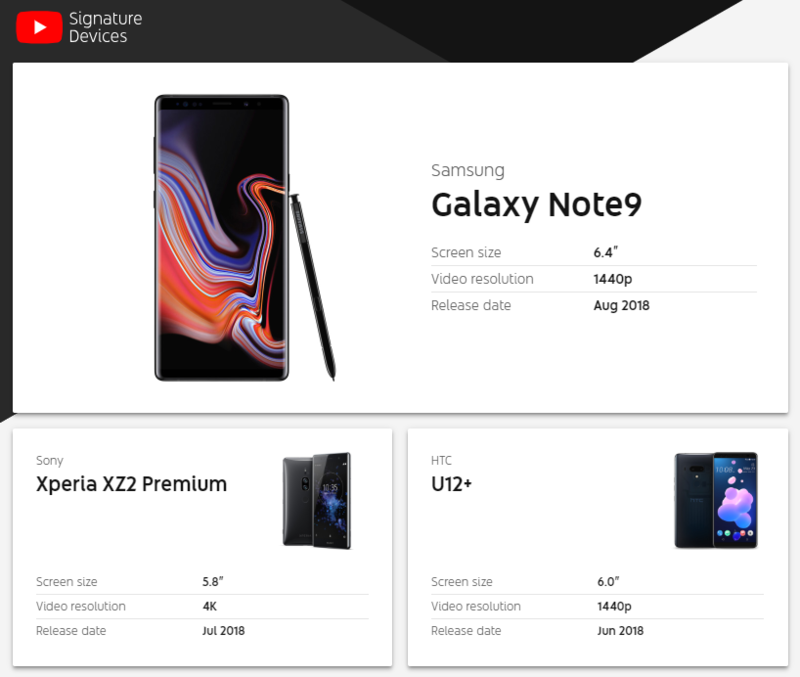 Phones on the Signature Devices list have support for 360-degree video, 4K decoding, HDR video, high frame rates, reliable DRM, and hardware VP9 profile 2 decoding. The selection of phones won't come as much of a shock. Right at the top is the Galaxy Note 9, which will launch in the coming weeks with its massive OLED panel and support for all YouTueb technologies. The list also includes the second-gen Pixel phones, the Sony XZ2 family, HTC U12+, OnePlus 6, Mate 10 Pro, and more. There are a total of 19 phones right now, and most flagship phones going forward will probably be YouTube Signature Devices.